Brooklyn Bridge, New York City, New York, USA, late 19th or early 20th century. 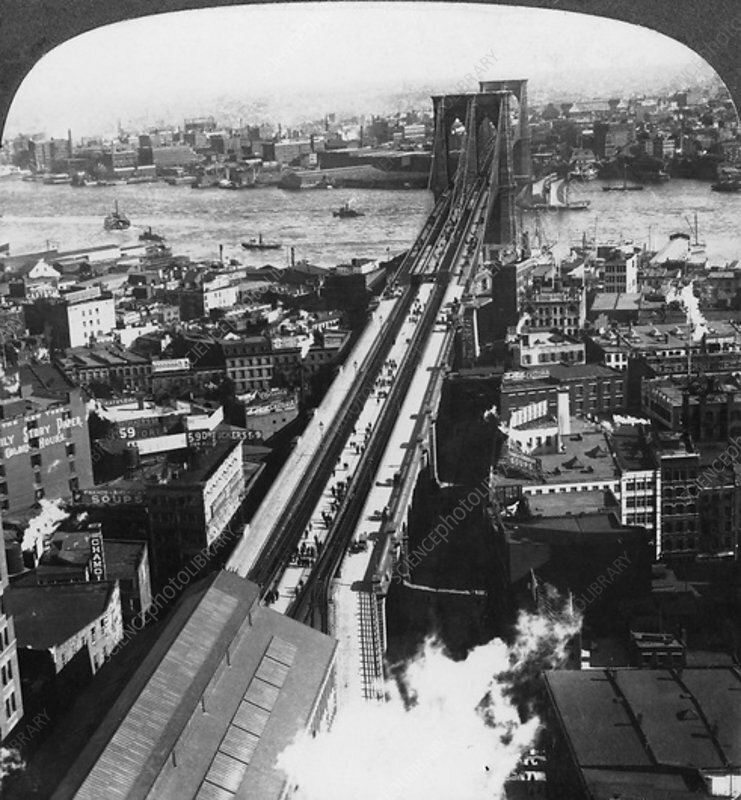 Detail from a stereoscopic card showing the bridge from the New York World Building. Designed by John Augustus Roebling, the Brooklyn Bridge over the East River was heralded as one of the most important construction projects of the 19th century. When completed it was the longest suspension bridge in the world. Roebling died of tetanus in 1869 after his foot was crushed in an accident during construction. His son, Washington, took over as chief engineer, and saw the project to its successful conclusion with the assistance of his wife Emily after Washington himself was incapacitated by an attack of the bends suffered while working below the river bed.